Vilna Badi founded Jesus4Real Ministries in 2005 as an outreach ministry to people on the street to demonstrate real love to broken and rejected people such as drug addicts, street children and prostitutes. Vilna’s love for people in the street started 10 years ago when she started preaching on the corner of Esselen and Leyds streets in Sunnyside. After 3 and a half years she felt God was telling her that people have heard her stories but she didn’t know their stories. She began walking the streets of Sunnyside and Arcadia as a friend to everyone; the homeless, street children, drug addicts and prostitutes. The extreme quandary of trafficked women who are prostituted caught her attention in 2014 and subsequently became her passion and life calling. She became known as “Mama V” amongst the girls as she walked the streets at night to reach out to them and to assure them of Jesus’ love and that He has not forgotten them. Her intimate working with individual ladies, their pimps and even their clients, have given her great understanding of the complexities and challenges facing the girls who are traded as stock and coerced to sell their bodies in exchange for drugs. Vilna was compelled to make a difference in their lives by reaching out to them as a friend and mother, offering emotional, physical and spiritual support and helping them to find hope, faith, love and dignity. 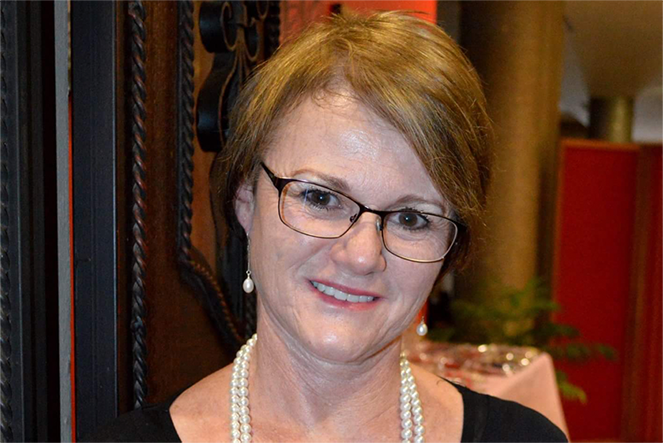 Her passion and dedication led to a decision to formalise the outreach into a stable community impact organisation. In 2016 she moved to Arcadia to be closer to the ladies. The ladies named the home, OUR HOME, as they finally have a home where they can simply be her daughters. 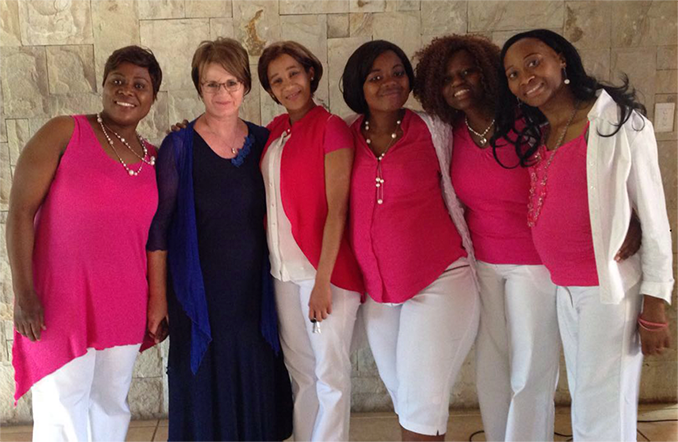 Vilna and the ladies do motivational talks, and they are available for talks on human trafficking awareness. The ladies who live in the home make beautiful craft items to raise funds. 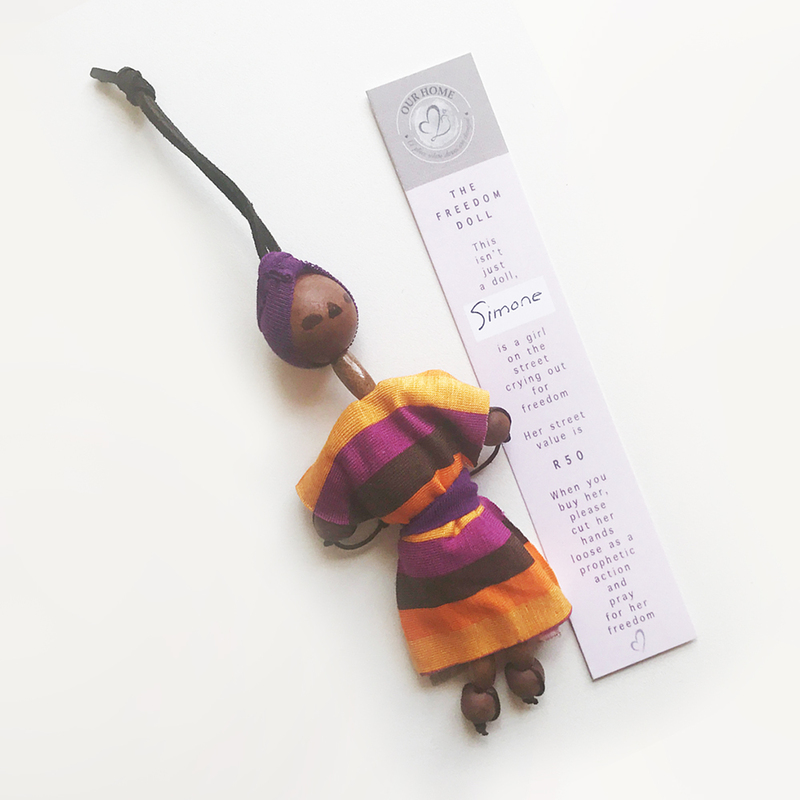 The Freedom dolls are made from wooden beads and their hands are tied behind their backs. They represent ladies on the street desperate to be free. 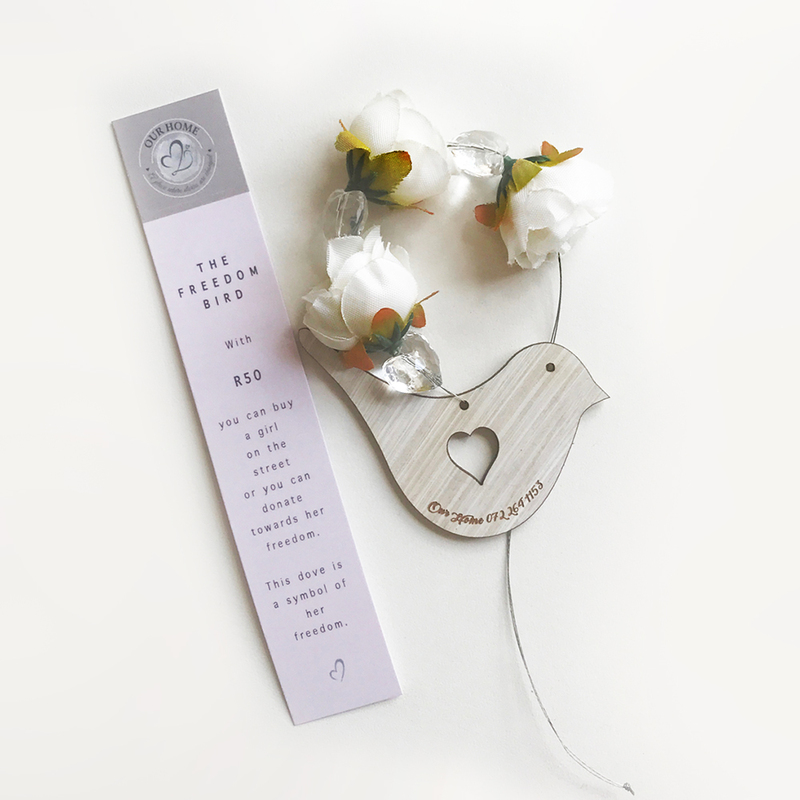 The Freedom dove is a door hanger that brings a message of freedom and hope. 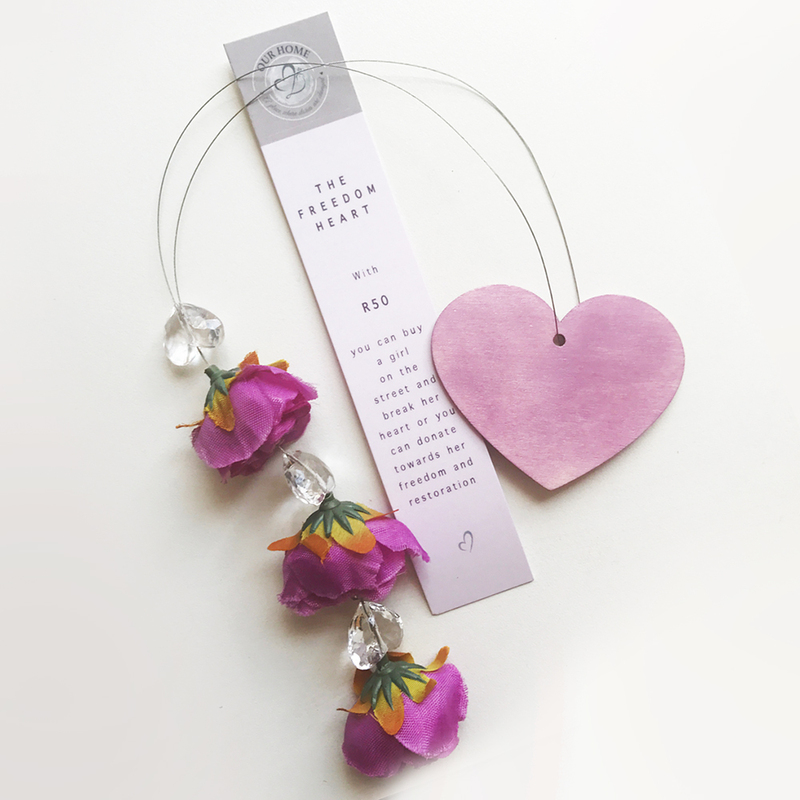 The Freedom heart is a lovely little hanger that reminds of perfect love.